Candle of the Week. Aromatherapy Associates Fragranced Candle Duo. Candle of the Week is this GORGEOUS duo from Aromatherapy Associates. Containing Relax and Comfort – both natural wax candles burn for 20 hours and are the absolute dogs for relaxation and an instant ‘switch-off’. AA are easy pickings for Christmas gifts. Always packaged beautifully and the gift that doesn’t say ‘you need some face cream/you look a little overweight, have this cellulite cream/here have some make-up because yours is pants’. 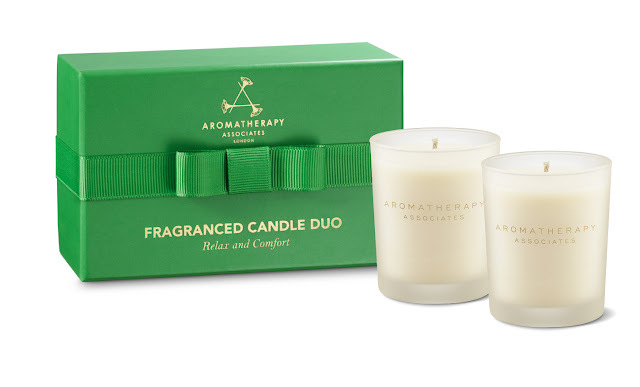 Aromatherapy Associates Fragranced Candle Duo is available from all AA stockists and is priced £29.00. Previous Post Pixi Glow Tonic – a new find!